Jason Miles from the "Singletrack Magazine" went by car from Bristol/UK to Bad Goisern/Austria - 1500 kilometres oneway! He raced the 211 kilometres-ultra-distance of the Salzkammergut Trophy on an Ritchey P650b - and went home by car right after! Ritchey Challenge: Jason, tell us about your experiences with the Salzkammergut Trophy! Jason: I knew the ride was going to be tough, but wow! It was tougher than I was expecting. There aren’t any 1000 metre climbs or days when the heat reaches 30 degrees in the UK so it came as a bit of a shock. The brilliant organisation and feedstations made the whole experience a good one though. Everyone taking part was super-friendly too, in spite of the various language barriers. Ritchey Challenge: Did you join in the Trophy for the first time? Jason: Yes, I took part for the first time, but not the last! I’ll be back next year. Ritchey Challenge: How long did it take you? Jason: 14 hours. I can’t quite comprehend the winner’s time…! Ritchey Challenge: Are you happy with your ride? Jason: I think I could ride it faster, but this time I decided to ride with my friends and not go too fast. I had to drive home to the UK straight afterwards! But I´m very happy – a great weekend. Ritchey Challenge: What was your highlight at the Trophy? Ritchey Challenge: What was your hardest part of the track? Jason: The climb to Salzberg – I didn’t know roads that steep existed! Insane. Ritchey Challenge: How did the Ritchey P650b feel to you? Jason: I normally ride a carbon hardtail. The steel frame of the Ritchey was nice and forgiving over the bumps, much more than my super-stiff carbon bike. It’s probably a little bit heavier than my other bike but I can’t say I noticed too much. On the descents, the 650b is so much fun. It’s also the coolest-looking bike I’ve seen for a long time – classic thin tubes and a gorgeous paintjob. Can I keep it? Pleaasssee? Ritchey Challenge: What is you job at Singeltrackworld? Jason: I’ve been a contributor to Singletrack Magazine for a while now, but I’ve not got a job as such there. I love being part of such a well-respected magazine and count myself lucky that I’ve had opportunities to ride and write about some amazing bikes. 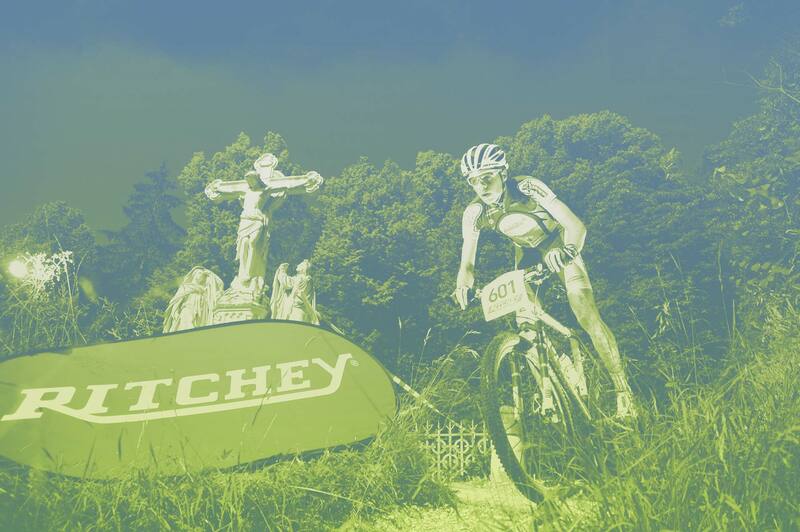 Ritchey Challenge: Jason, thanks for the interesting interview!